Convert MTS files to MP4 online for free now. How to Convert MTS to MP4 Online? Select MP4 as the output format you want to convert MTS file(s) to. MTS is an AVCHD video file that is saved in HD MPEG Transport Stream format which is mainly created with HD camcorders from Sony and Panasonic. The format is Blu-ray compatible supporting resolution of up to 720p and 1080i. High resolution and quality of the MTS format makes them difficult to play them on portable players, mobile phones, and other devices. Thus, to make your MTS videos play on all types of devices, you need to convert them to a more universal format like MP4. 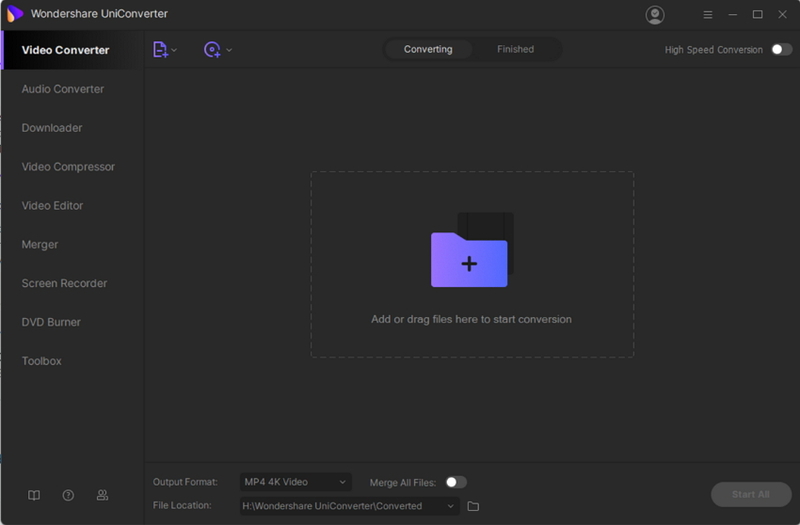 The task of conversion can be performed using MTS to MP4 video converter and Wondershare UniConverter (Wondershare Video Converter Ultimate) is one of the best tools in its category. The program allows to convert MTS to MP4 windows/Mac system. More than 1000 formats are supported by the software that facilitates video and audio conversion. You can also download the needed videos from YouTube, Vimeo, and other sites for conversion purpose. Additional specifications include screen recording, video editing, DVD burning, fast conversion, batch processing, and others. To know how to convert MTS to MP4 follow the steps below. Step 1: Open Wondershare MTS to MP4 converter and load MTS files. 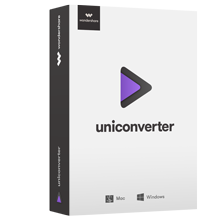 After downloading and installing Wondershare UniConverter (Wondershare Video Converter Ultimate), open it on your PC. You will enter the Converting tab by default from where click +Add Files to load MTS videos present on your system. To add videos directly from your camcorder, open drop down menu next to +Add Files and select connected device. Step 2: Customize MTS video (Optional). 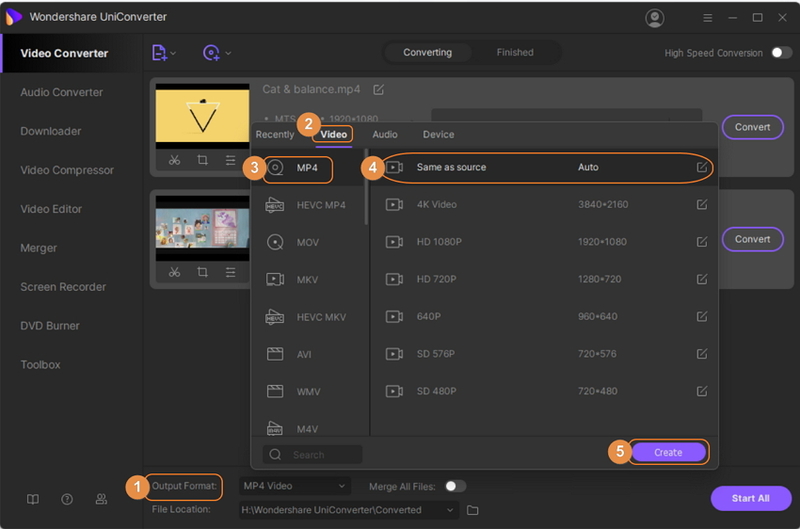 If you want to add certain effects or crop unwanted part of your videos before you convert MTS file to MP4, you can edit them using the built-in editor of the program. Click any one of the editing icons present under the video thumbnail. A new window showing editing options will appear. Select the desired option and click OK to confirm. This is an optional step and can be skipped if no editing of MTS file is needed. Step 3: Choose output format as MP4. To convert MTS file to MP4, you need to choose MP4 as the output format from the Video tab by clicking drop down menu at Convert all files to: option. While selecting the format, you can also choose the resolution. To further edit the file parameters to compress MTS files, hit +Create Custom. From the pop-up Setting window, select file parameters and click Create. Step 4: Convert MTS to MP4. Select PC location of the downloaded file at the Output tab. Finally, choose Convert All to start the process. The Wondershare Video Converter MTS to MP4 will convert files without any quality loss. 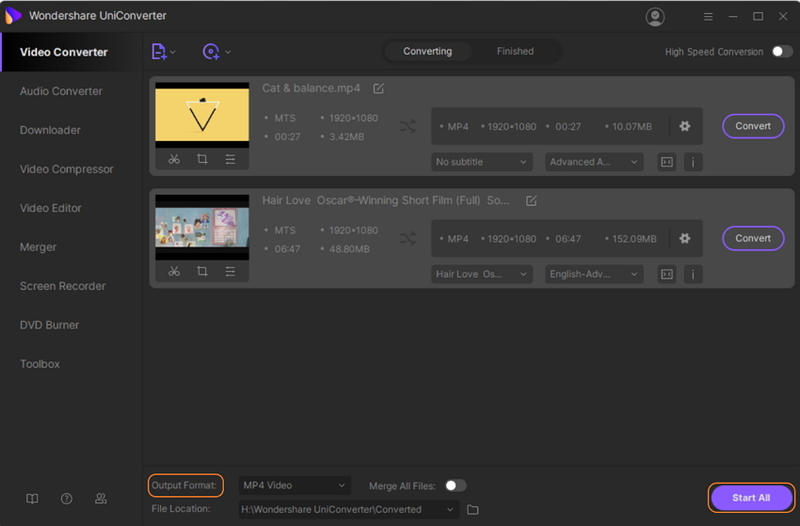 Get answer to all your queries on how to convert MTS file to MP4 and other formats with the best professional software - Wondershare UniConverter (Wondershare Video Converter Ultimate).